As a result of acting for you, we obtain personal data about you. 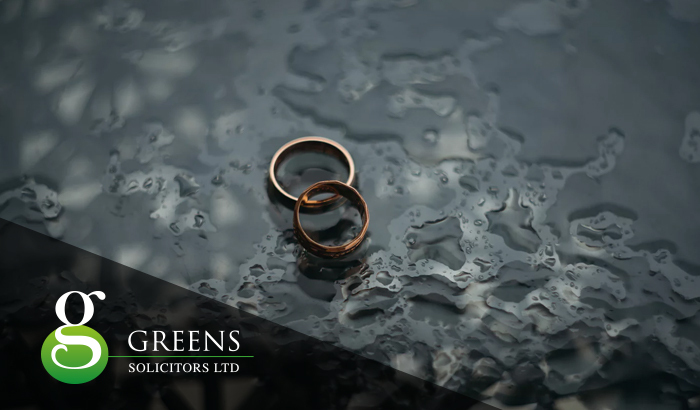 As a firm of solicitors, we are under an obligation to keep your affairs confidential. However, we are also subject to the General Data Protection Regulation and are registered with the Information Commissioner’s Office as a Data Processor. Our Registration Number is ZA119452. The below information is set out as required by the GDPR. Please in any event rest assured that as solicitors we take the protection of all the information we hold in relation to all clients very seriously. Please do not hesitate to contact Julie Maguire, our Practice Director and the person in charge of Data Protection at this office should you have any queries or concerns. Please also note that throughout this notice we have used the word “process/processing” in relation to data. A simpler term for data processing is “using the information you provide us with”. However we have used the term data processing etc as that is what the law refers to. Lexcel assessors (Lexcel is a quality mark for solicitors which we hold. We are assessed every year). Also, once your matter is concluded, the physical file is stored in an outside archive facility. In relation to Lexcel assessors, please let us know if you object to them having access to your file. In relation to barristers and experts, we only use those when necessary but it would not be practicable for us to act for you unless we have liberty to instruct a barrister or expert when we consider it necessary for the proper conduct of your case. In relation to outside costs draftspersons, we only use those as and when necessary. In relation to storage of the physical file, it is not economically viable for us to store files on site. Please note that in relation to information provided to us to take a payment, we retain the voucher from the card company on the file purely so that the lawyer dealing with your case has easy confirmation of the amount paid. This voucher contains the card number and the expiry date. It does not contain the security number or your name and address. This information will not be used for any other purpose other than to ensure that the payment is properly allocated on our system. If you have any concerns about whom we share your data with, please do not hesitate to contact Miss Maguire. How long will we store your data for The physical file will be stored for 6 years from the date that the matter is completed. The electronic file stored on our internal server is not routinely deleted. If you wish to have the physical file deleted, we cannot do that until 6 years have elapsed as we need to retain the information contained in the file should it be necessary for the establishment, exercise or defence of any legal claims. If you wish to have the electronic file deleted, please contact Julie Maguire and provided 6 years have elapsed after the case has been completed, that will be arranged. Right to restrict processing and right to object to processing You are free at any time to request that we cease processing your personal data or that we take different measures to those we already have for processing your data. If you request that we cease processing your personal data, we will do so immediately and that will mean we can no longer act for you. In regard to any request that we adopt different measures as to how your data is processed, we will deal with any such request as soon as possible and in any event within 28 days. Right to complain to the Information Commissioner’s Office You have the right to complain to the ICO if you have concerns about how we handle your data. The ICO contact details can be obtained online. Generally We hope that this information is clear and “jargon free”. Please let us know if you have any difficulty in understanding it so that we can consider revising it to make it clearer.